You've probably had to deal with a cracked screen after dropping your mobile device. In fact, a cracked screen can give your device an awkward look as well as make the touch screen to malfunction. That said, separating and removing your phone's LCD/OLED screen is the first and the most important step during the screen refurbishment process. So lots of care needs to be taken. Thankfully, there're lots of glass separator machines out there to help you out. However, choosing the best one can turn out to be an uphill task due to the wide array of different brands and prices ($30-$3,000) available in the market. Therefore, understanding the kind of screen separator you need is very crucial. In this article, we'll take you through the 3 main types of mobile screen separators you should know about. Hotplate Separator Machine.This is probably the most popular and the easiest screen separator machine currently in the market. 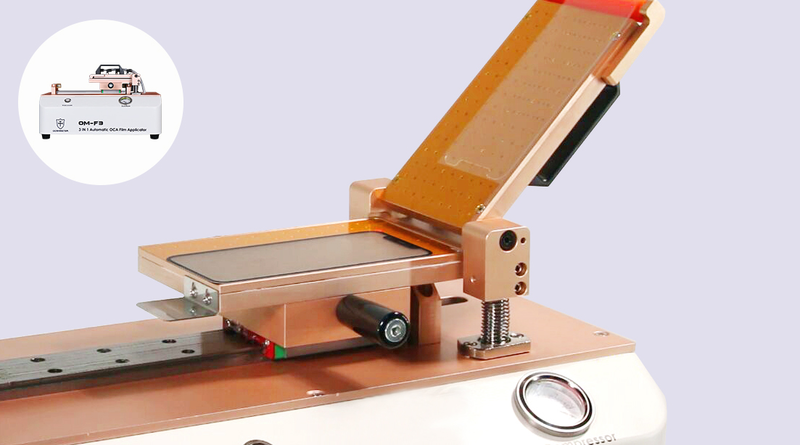 To begin with, you'll need to heat up the screen and melt the glue, which is exactly what the Hotplate separator does. You can then proceed to separate the broken glass from your mobile device's LCD display assembly using a molybdenum cutting wire (0.04/0.05/0.08mm). Keep in mind that this machine only works best when separating regular, flat screens. Freezing Separator Machine. 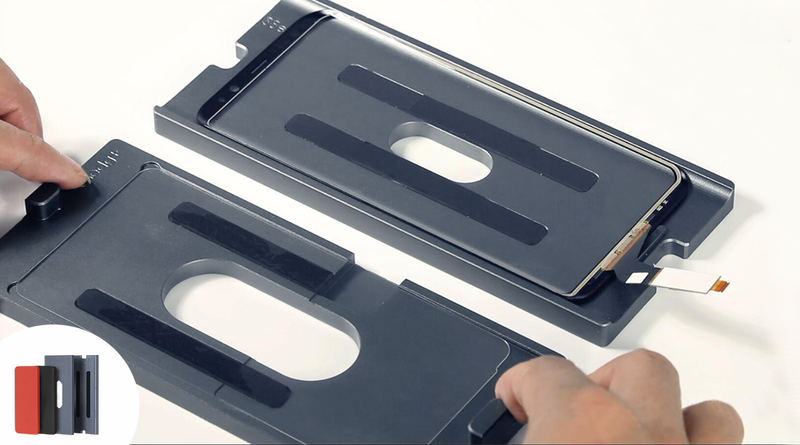 This kind of separator machine is specifically designed for separating OLED screens found on devices such as the Samsung Galaxy Note Edge (Galaxy Note Series). In fact, for fast and easy recycling of Edge Series screens, you will definitely need this machine. Laser Separator Machine Over the last 2 years, this separator machine has experienced a sharp rise in popularity. 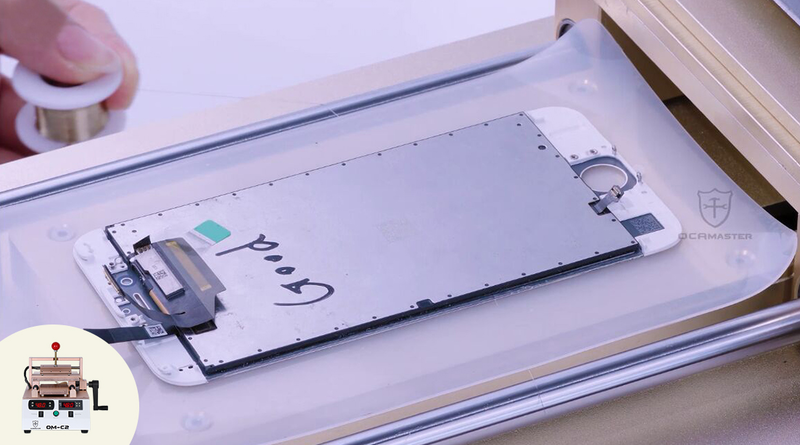 That aside, it's mainly used to separate any iPhone glass back cover and middle frames. It can also be used to applicate marks on any kind of material (metal or non-metal). However, you'll need to learn a little bit about this machine before using it. Once you understand how it operates, screen separation will become very easy. 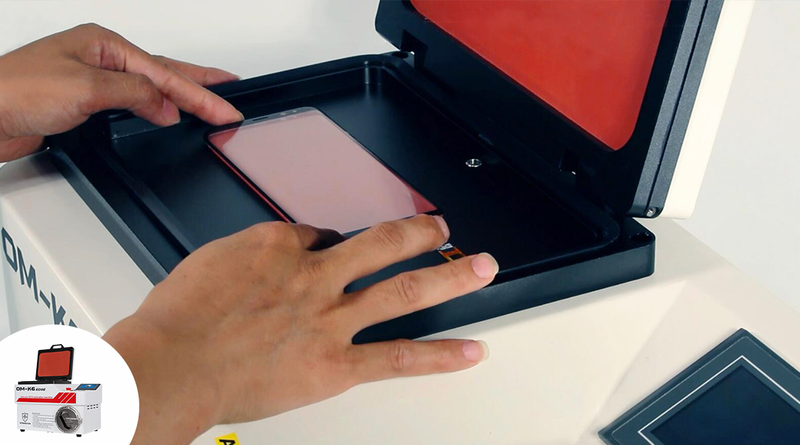 The polarizer remover machine is designed to remove the polarizer film from the phones LCD screen once the cracked glass is removed. The film remover machine is widely used because it helps to save your valuable time. Removing the glue using other conventional methods is cumbersome and can consume a lot of time. For instance, if by bad luck your iPhone 7 screen gets broken, you will notice that plenty of OCA glue has remained on the screen after the broken glass has been separated. In reality, the OCA glue is what has remained on the polarizer. If you want to remove the OCA glue in the best way possible and within a short period of time, then polarizer film remover machine is exactly what you need. Once you have successfully removed the polarizer film, the next crucial step is removing the polarizer film glue that has remained on the polarizer film on the phones LCD screen. However, that should not worry you because we have the right solution for you.Our newly launched liquid glue remover 8222 is not only super-fast but it is also very efficient in removing the polarizer film glue. 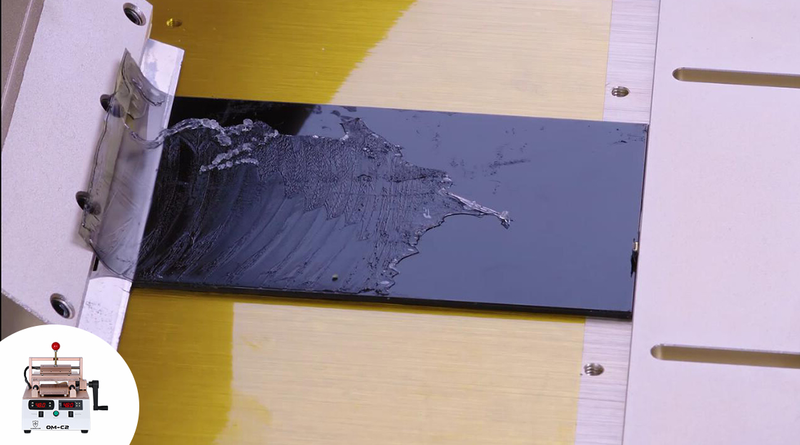 When recycling the screen, one major challenge that you will face is removing all the remaining glue from the screen. It is not only a risky affair but it is also a slow process that takes time. If you want to be successful, then you need to have a lot of patience. One key factor that will determine your success in your recycling process is the type of glue remover liquid that you use. 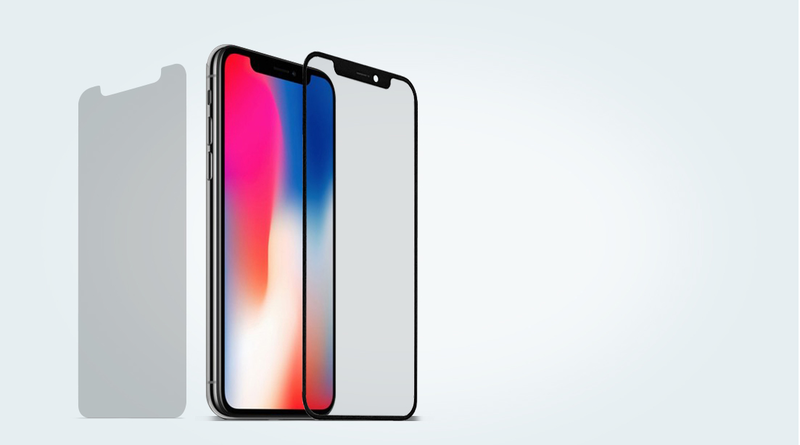 If you want to get quality results that you are looking for, then we recommend that you use 3 types of glue remover including, OM-1000, 8222 and the iPhone X series frame glue remover. The 8222 is a special glue remover that was specially designed to remove iPhone polarizer glue. This glue can effectively melt the polarizer in as little as 10 seconds without causing any harm. 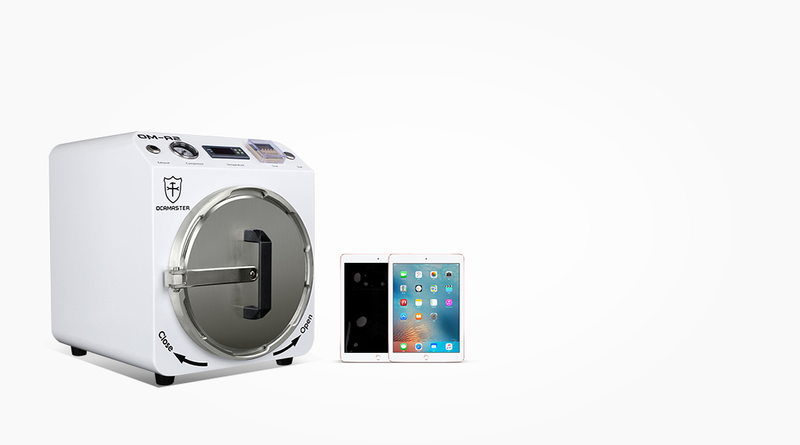 On the other hand, the OM-1000 is good for all types of OCA glue removing including Samsung Edge series, iPhone 6,7,8,X,XSMax and regular flat screens. On the other hand, the iPhone X series frame glue remover that was launched just 6 months ago and has clearly demonstrated what it can do. This glue remover can melt the hard glue on the frame very fast without damaging the flex cable, which was a major concern for many people. The good news is that all these glue removers are available at OCAMaster. 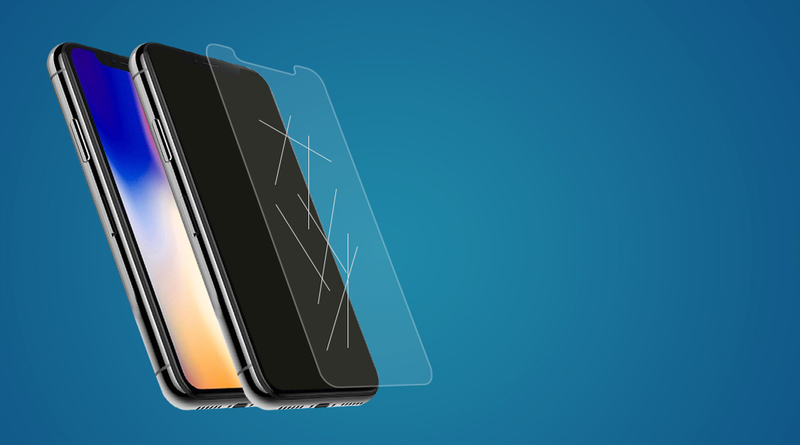 You can purchase any of them to help rescue your iPhone X screen. This product has different names. Some people call mould, others mold while others jig. 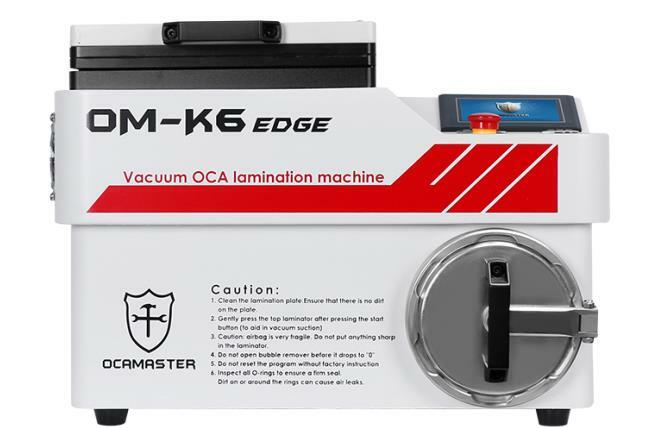 Regardless of how you call it, one thing that is clear is that jig and mold plays a crucial role in aligning OCA glue or LCD/OLED screen with the glass before laminating. Over the past 4 years, we have developed four types of molds specifically for screen recycling. They include regular aligning mold, in-frame lamination mold, out-frame aligning mold and 2 in 1 aligning mold. When compared to using a roller, the OCA film sheet application machine is by far more convenient and accurate when it comes to applying the polarizer film sheet on the LCD screen. It contains a powerful vacuum pump that can hold the OCA sheet very tight on the top plate when the protection film is being removed. It is also universal meaning that it can be used for all types of flat screens. It also features a spring design that enables the top plate to hold the polarizer sheet firmly. One main advantage of airbag lamination machine is that it delivers soft pressing and lamination. This means that the machine will not harm the LCD screen as it is usually the case with hard plate machine. Because of the fact that the airbag is inflated with air means that lamination is made by air pressure. 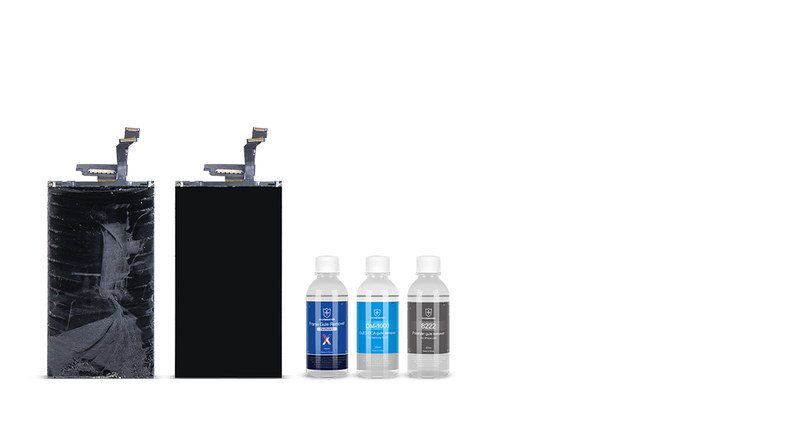 In addition to that, the airbag lamination machine has been proven to be the best solution for the Samsung Edge series in-frame lamination. It always fits perfectly without delay bubbles and does not cause any damage to the screen. The last process of OCA lamination is bubble elimination. The bubble remover machine has a huge autoclave with high pressure. As we all know, a good recycled LCD screen should not have tiny bubbles after they have been removed. Unfortunately, most people still struggle to avoid bubbles even after lamination. There are two types of bubbles. They include locked and vacuum bubbles. Vacuum bubbles are not real because they don't have any air. This means that if you use a bubble remover, then those bubbles will disappear quickly and you will never hear of them again. On the other hand, locked bubbles are real bubbles meaning that the bubbles have air. Typically, these kinds of bubbles are difficult to eliminate completely in autoclave even after high-pressure pressing. At first, you won't see the bubbles when you remove the screen from the autoclave. However, if you check the LCD screen after an hour or after one day, you will notice that bubbles have resurfaced. Such bubbles are known as delay bubbles. Any screen repair technician will tell you that delay bubbles are their biggest headache. Most of them think that delay bubble occurs because the pressure applied by the bubble remover is actually not enough. If you want to get rid of deal bubbles completely, then you need to use high-quality lamination machine that is powerful enough. Bubbles are also triggered by temperature. When removing them, we recommend that you adjust the temperature to 45C on your machine. There are many mobile repair tools on the market, from those that fix the internal system to those that fix external systems. As a reputable company, we always supply the best quality tools to our clients who are mostly repair shop owners. Currently, there are many online shops selling all kind of repair products. However, it is very difficult for a customer who has little knowledge to verify that the product being sold is indeed genuine and of high quality. It is very difficult to test all the tools available on the market to find one that suits your needs. That is why OCAMaster is here for you. All manufacturers that we have partnered with have been thoroughly inspected and proven beyond a reasonable doubt to have the ability to produce high-quality tools. Our main goal as a company is not to make huge profits. Instead, our aim is to deliver quality tools that are reliable and long lasting to our esteem customers. When you choose us, then we promise that you won't get disappointed. At OCAMaster, we only sell premium grade glass, polarizer film, OCA glue, and many other top quality materials to our esteem clients. We have been in this business for a long period of time and on the process, we have tested many different glasses from different manufacturers and we are happy to inform you that we have found the most reliable and trustworthy source for our customers. We urge all our customers to ensure that they always choose high-quality polarizer film for their phone LCD screen refurbishing and original glass for those who want to refurbish Samsung edge screen. High-quality OCA glues not only resists polarizer and delay bubbles but they also determine the overall color and static of the screen. When you choose OCAMASTER, then you can be sure that you will get the best products. We have also invested a lot on mold and jig technology. What separates us from our competitors is the fact that we always give our customers quality molds that resist air bubbles. Our molds also make accurate alignment just like the original factory screen. We also take pride for being the first company to develop in-frame lamination for Samsung edge screens refurbishment. Just one year after its launch, the in-frame lamination has become extremely popular. Our cutting edge airbag technology enables our top-notch machines to laminate glasses safely without any delays.